CoreLogic a leading provider of information, analytics and business services, today released its first national Foreclosure Report which provides monthly data on completed foreclosures, foreclosure inventory and delinquency rates. Completed foreclosures for all of 2011 totaled 830,000 compared with 1.1 million in 2010. In December 2011 there was a month-over-month decrease in completed foreclosures to 55,000 from 57,000 in November 2011. The December 2011 completed foreclosures figure was also down from one year ago when it stood at 67,000. From the start of the financial crisis in September 2008, there have been approximately 3.2 million completed foreclosures. The new data shows that nationally 1.4 million homes, or 3.4 percent of all homes with a mortgage, were in the foreclosure inventory as of December 2011. The foreclosure inventory is the stock of homes in the foreclosure process. A property moves into the foreclosure inventory when the mortgage servicer places the property into the foreclosure process after serious delinquency is reached and remains there until the foreclosure is completed. The foreclosure inventory is measured only against homes with an outstanding mortgage, rather than against all homes. Nationwide, roughly one-third of homeowners own their homes outright. Nationally, the number of loans in the foreclosure inventory decreased 8.4 percent in December 2011 compared to December 2010, a decline of 130,000 properties nationwide. The number of loans in the foreclosure inventory decreased by 5.3* percent in November 2011 compared to November 2010 as well. The share of borrowers nationally that were 90 days or more delinquent on their mortgage payments, classified as seriously delinquent, improved to 7.3 percent in December 2011 compared to 7.8 percent in December 2010. 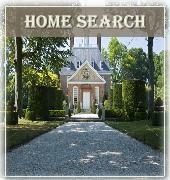 To search by city or county, click on the links below. These are preset searches where you bank owned / REO foreclosures in those areas. No registration needed and no charge to access.